After reviewing the magnesium fire starter market, we've determined that the Survival Spark Starter is the best (highlighted below, in the middle). It is highly rated and reasonably priced. We highly recommend checking out this product before your next adventure. A fire starter is an essential tool for anyone who frequents outdoor spaces. While in this current day and age, many people carry lighters on them this is not the preferred method for fire starting. 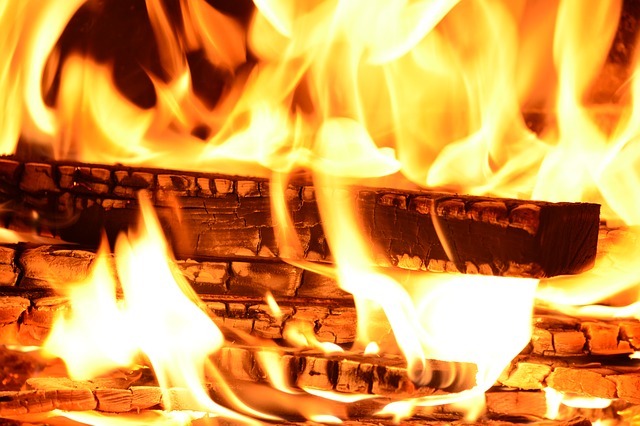 When professionally starting a fire, a magnesium-based fire starting kit is the most fool proof method; this is because the magnesium within the product helps to produce a fire that will burn evenly and be sustainable. A well-built fire will provide you with necessary warmth and even act as a cooking aid for meals that require heat. The magnesium fire starter is also an excellent emergency tool to have in the event smoke signals need to be sent, or individuals are lost and need rescuing. Up to 12,000 strikes from thick 5/16″ rod. If you're familiar with the historic, old fire starters, the ones that came out after rubbing two rocks together, you know they don't always yield the necessary results. A flint and steel striker was once the best way to start a fire. However, these two fire starting methods are different in many ways. With a natural flint and steel starter, it takes a certain level of precision and expertise to get the flame going. It will likely require a couple of tries before you get it just right. Depending on the degree of dexterity you possess, it may prove to be harder than you previously though. With a magnesium fire starter, though, the sparks are much hotter and more concentrated- this means that the flames are easier to produce. It's a very straightforward method and the most efficient regarding amount of time it will take to start a fire successfully. This affordable option is one of the best as it provides incredible value. Also comes with a whistle and a compass. Completely weather resistant, windproof and no match for the cold. The manufacturer stands behind the product 100% and offers a lifetime warranty and money back guarantee. Starter rod will last over 15,000 strikes. The Doan Magnesium Fire Starter is a convenient fire source for your travels into the wild or camping trips. It's a rectangular block measuring 3 in by 1 in by 0.25 in made from magnesium. On the front face of the block the manufacturer's name and address are imprinted, which is a nice touch and adds to the feel of good quality control and pride in the product. It has a Ferrocerium rod mounted into one of the thin faces of the block and there is a hole is drilled through the front face of the block. This is where a metal chain is strung so that this fire starter can be conveniently attached to your other camping or hunting gear. The STRIKING INSERT is made from Ferrocerium and can be fun or difficult to use, depending on your experience, the circumstance and the weather, of course.There is a bit more labor involved compared to striking a match, but it's worth it if you can start a fire any time. The shavings may not fall off all by themselves and it takes a bit longer to create a decent pile. The more shavings you make, the better chance you'll have the sparks to ignite the magnesium. The most affordable item on the list and the smallest. This pocket-sized magnesium flint bar has everything you'd need to start a fire. It's completely waterproof and compact. Completely durable and able to spark in severe environments, this is the perfect product for those who want something simple that gets the job done. This magnesium fire starter comes in a kit which contains 2 fire starters, a built-in compass, 150dB whistle, a steel scraper, and 450LB 8-core Paracord. This is a super-handy kit of survival and camping tools to keep you safe and cozy while camping, hunting, fishing or going on survival trips. It uses industrial grade Ferrocerium magnesium which works best when you need those sparks for a warm camp fire. This kit is great for any camper who doesn’t want to face any unexpected challenges while enjoying their time in the forests, mountains or by the rivers or lakes.In order to make a nice fire, simply use the serrated edge of the striker to shave some magnesium from the rod onto your pile of tinder. Keep shavings closely piled together to start the fire quickly. Use the smooth edge of the striker to strike the rod several times in order to get those sparks at the magnesium pile until it ignites into a warm camp fire. Overall, a great survival kit to have! The Friendly Swede Magnesium Flint Fire Starter comes as a convenient and money saving 3-pack. It makes it super-easy to throw sparks and start a camp fire. This survival tool in any weather conditions - rain, snow, and high-altitude and is perfect for camping, hunting, survival, bushcraft and other outdoor activities. The magnesium bar is also your tinder, whereas a common fire starter requires separate material. The flint rod throws hot sparks no matter how windy it is and the handy striker can also be used as bottle opener. The ease of use and versatility make this fire starter perfect both for experts and beginners. It's made to last so you'll be able to start a great many camp fires with this bundle of 3 fire steel blocks with chains. We recommend these Friendly Swede fire starters as reliable and handy survival tools at a good price. This is another really well made magnesium fire starter. Not only is it a real bang for your buck, but it works really well and you can have full confidence in this fire starting rod. The cool feature about it is that it feels really good in the hand due to the wooden handle which has a natural finish. It will get the memorable looks after your many happy camping trips. This fire starter comes with a lanyard, a cool piece of steel with a few very useful features. You will also receive some jute twine to get you started. If you want a reliable and well-made fire starting source to add to your survival kit, the Überleben Zünden Fire Starter is a great choice. It takes little practice for you to start a fire if you're an avid camper and it will last you a great many trips. With a military grade type of durability, this product is waterproof, well made and will last for over 12,000 strikes. Is patented to function in every kind of outdoor capacity. Whether that be the wind, rain or sleet, this fire starter will provide you with the spark to make a substantial fire. Lifetime warranty to ensure you obtain just the satisfaction you deserve from survival products given their pertinent nature. Comes with complete instructions, this kit is a bit more detailed and contains more additional parts than the other items on this list. The torch comes broken down into pieces that can be easily assembled into the torch. This magnesium based product is incredibly safe, waterproof and also comes with a compass. A great tool for preppers and outdoorsmen, an all-in-one solution. Magnesium fire starter that's compact, lightweight, and starts quickly. Made from premium quality magnesium this product is a great starter and much safer than a match or a lighter. Can start a fire even in damp or wet conditions. Superior quality designed torch also doubles as a glass breaker and keychain. Complete with a magnesium flint rod, tinder storage compartment and a cotton ball. Breaks down into screwable parts for easy storage. The non-slip grip which helps to stabilize the bar when lighting it. Having a reliable way to start a fire in an emergency situation is incredibly important. You want something that is compact, credible and easy to use. Many of the options provided for you above are all that and more. Be sure to read multiple reviews before deciding on your best option.